My husband and I became pregnant with our first daughter 7 months into our marriage. We were sooo excited to start our family and blissfully ignorant of the intense changes parenthood would bring to our lives. 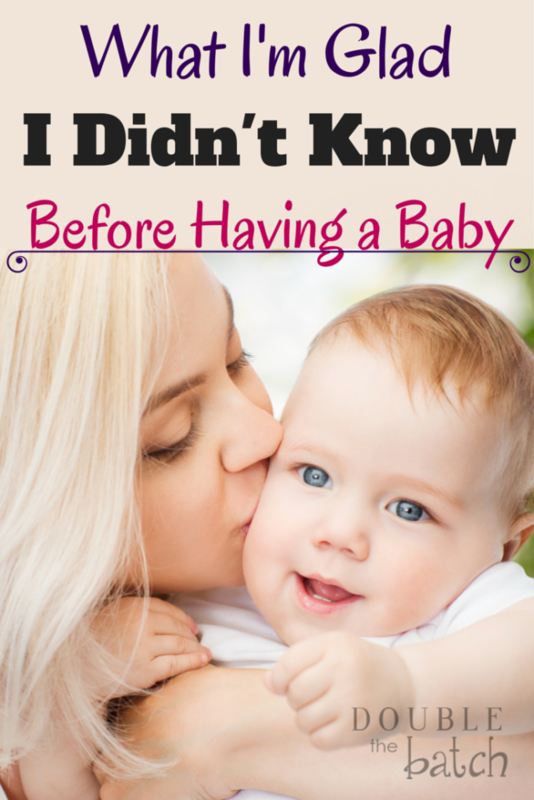 Here is a list of things, looking back, I am glad I didn’t know before having my first baby. 1- The amount of human excretion I would be dealing with on a daily basis. Children have something unpleasant coming out of some orifice on their body at pretty much any given time during the day. They are constantly pooping, peeing, puking, drooling, and their noses run far more often than they don’t. Parenthood is not for the faint of heart or the queasy of stomach. I knew that kids did these things, but I had NO idea how MUCH they did these things. Like, that my entire day could often consist of doing nothing but wiping up these things. That I could find my sweet, little, innocent, 20 month old daughter asleep on my bed (on more than one occasion,) covered in the contents of her diaper, which she had apparently used as finger paint on my headboard, walls, carpet, and sheets before drifting off into dreamland. These were possibilities I was completely unaware of… and that I may need therapy for at some point. 2-The reality that I would never really be alone again. You might think that the bathroom would be a place of refuge for a mother who needs a few seconds to herself, but you would be woefully wrong. If you inadvertently don’t lock the door after entering, guaranteed a child is going to join you shortly with a question that just can’t wait the 60 seconds it takes for you to do your business. And if you do lock the door, then you will be serenaded by their pounding and pleading that you let them in, and when that doesn’t work, they will lie down and stick their cute little fingers under the door and ask you if you can see them. It is adorable… the first few times- kind of. And if you ever lie down for a nap, or try to read a book, they are like moths to a flame and nip that little plan in the bud before it can develop into anything really serious. Alone time is just not really an option unless you pay someone else to be their new target for a bit. 3- The possibility of long exhausting days followed by nights of no sleep. So, newborns are infamous for their night owl tendencies. But, before you have your first baby you think, hey- we will give the baby a few months to get their nights and days straightened out and– bada-bing– we’ll get back to the business of sleeping. Then you have an actual baby and find out that some of them apparently have insatiable appetites and take a lot longer to figure things out, and then, once they do figure things out, they get sick and it ruins everything you have worked so hard to accomplish. And then you get sick, which seems soooo wrong– to be responsible for the life and joy of another human being who needs extra attention when you feel like death warmed over yourself. And if it is your second child that usually means you have a mess-making, maniac toddler running about, but you are still expected to somehow exhibit patience in your I-haven’t-showered-or-slept-in-four-days-and-I-don’t-even-know-what-day-it-is-or-what-that-kid’s-name-is stupor, when you walk into the kitchen to find out he/she has just chucked a dozen eggs on your tile floor followed by a sprinkling of flour and orange juice while you were half-asleep nursing your baby in the other room. These are good times I just didn’t know were to be had. 4- That potty training is the only thing worse than cleaning up excrement. I have often said I would have 10 children if potty training wasn’t part of the equation. Okay, maybe 8- I was exaggerating, but that is how much I despise it. At least when they are going in their diapers, it is contained (except for blow-outs, of course)– you have some control over the situation. But, once you introduce the concept of doing their business on the potty, buckle-up, because you are now on accident patrol 24-7 and those terrifying things can happen anytime and anywhere, I tell you! Even on your friends brand-new, expensive couch during a quick visit that just became your worst nightmare. They find new places to go other than that cute little Dora potty you bought them (check your vents) and wearing a diaper becomes optional to them whether it is to you or not. My dreams of charts and stickers and dry pants were shattered in one week of potty-training boot camp that kicked my ever-loving motherly trash all the way down the road. Go ahead. Talk to the mother experts out there who claim to know the one and true potty training technique that will work for any child. Take notes and pray you have their type of child or you may just end up right next to me on the side of the road. Which leads me to the point of this post, which was not to scare anyone away from parenthood. 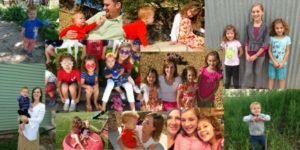 I am currently 6 months pregnant with my 5th child… on purpose, and I know what you are thinking– What? Are you crazy? Did you not read your own post? And what I would say to that is what I also didn’t realize before I had my first baby was the incredible amount of love that my heart was capable of feeling for another human being. I didn’t realize the lengths of sacrifice and suffering I would be willing to endure to have them in my life. If I had known about the tough things before having my first baby, I might have missed the feeling of their soft, tender, brand-new cheek rubbing against mine. I might have never experienced the heart-bursting joy that comes when they wrap their little arms around my neck in a “tight-squeezy hug” as my daughter likes to call it. I might have never heard the glorious sound of their first laugh after an exhausting session of silly-face making. I might have missed hearing their squeals of delight as they chased a butterfly in our backyard for the first time. My heart might never have known the joy of seeing them leap into their daddy’s arms when he walks through the door. I might not have experienced the wonder of watching their personalities blossom and their confidence in new skills grow right before my eyes. And I might have never felt the magic of singing them to sleep and then not wanting to put them in their crib because holding them against my chest is about as close to heaven as I have ever felt. What I know now is– it is worth it. Every bit of it. And I’m so glad I didn’t know.